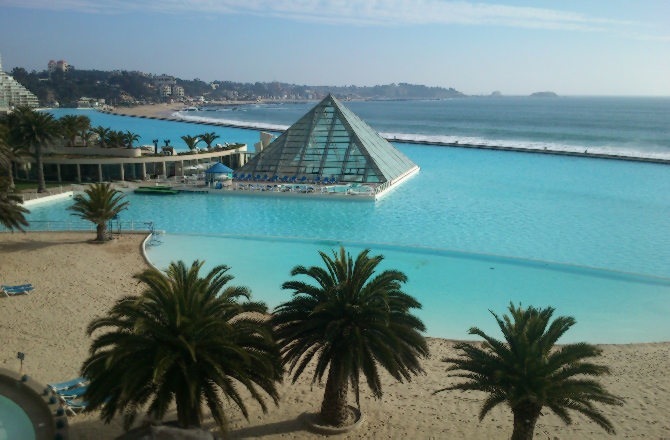 Last summer I did a post on Fantasy Pools. If you missed it, you can see it here Fantasy Pools. It was quite popular, so today, while many of us are wishing for a cool respite, let’s look at some additional wow! 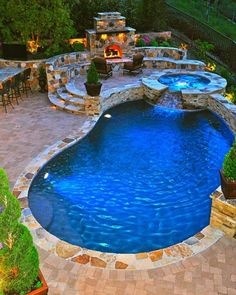 swimming holes, and a few that any of us might consider for our own back yards or garden spaces. 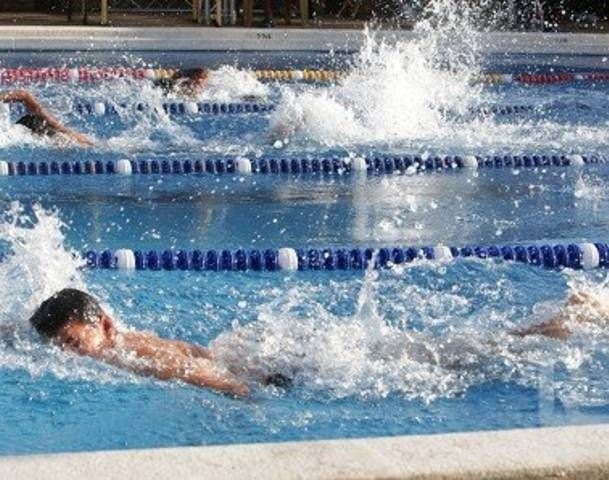 I love, love the water, and for now I have to satisfy my own desire for swimming or just floating around weightless under a hot summer sky with looking and drooling enough in envy that I could fill a small pool all by myself. 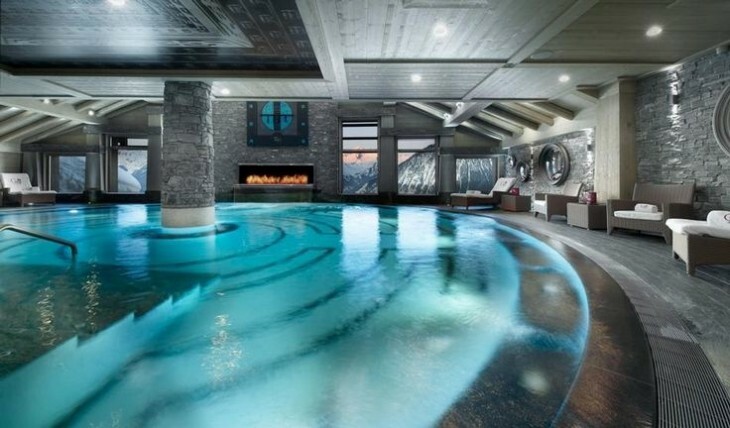 Ahhh, to be able to indulge your fantasy by building a pool that makes clear your passion, even if you can’t swim laps. I have to admit to liking the whimsy of the “baby foot” pool. 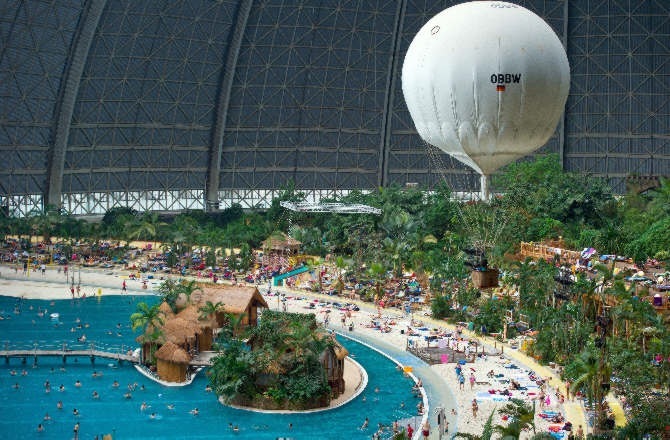 I have to admit that I like the idea of a living space in the water, easily accessible no less. 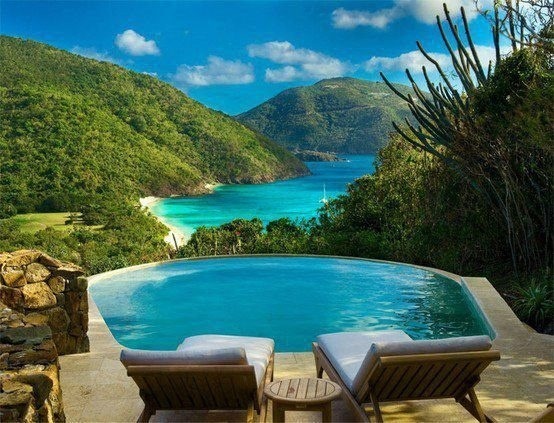 At night, stars above, the sweet, unique fragrance of the sweet salty ocean salt air, and an amazing view. 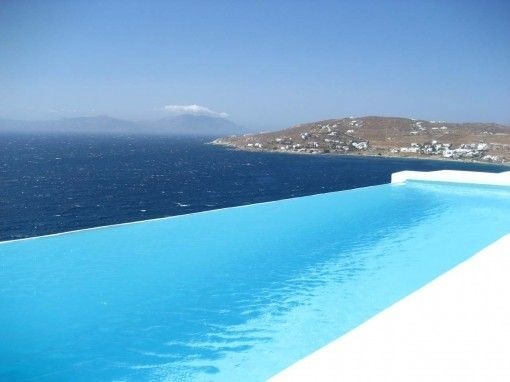 I would be a permanent prune after a stay here…. Simple yet elegant. 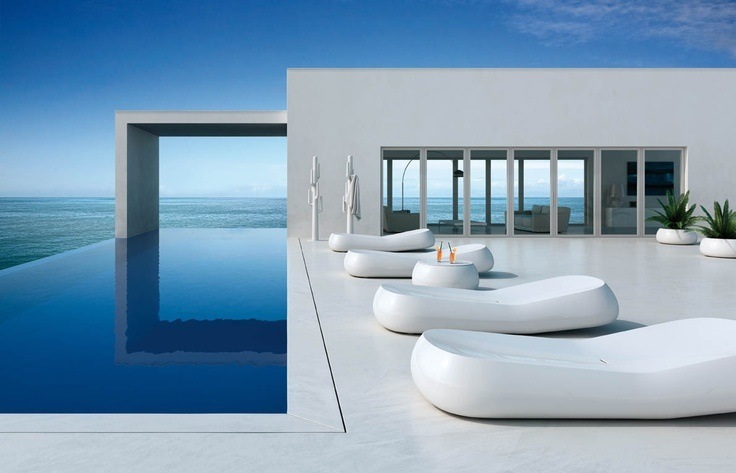 Infinity pools are pure design genius. Love the fireplace at the end, and then take a look at the mountain views outside. For me this is modern design at its best. This photo would be beautiful framed and hung on a gallery wall as art. The reflection in the pool of the house extension to the left, and its reflection in the pool with the shadow lines makes this so exquisitely balanced. Try and imagine it without this, and the effect would not be the same. The balance is further enhanced by the curvy shape of the chaises. Pristine. 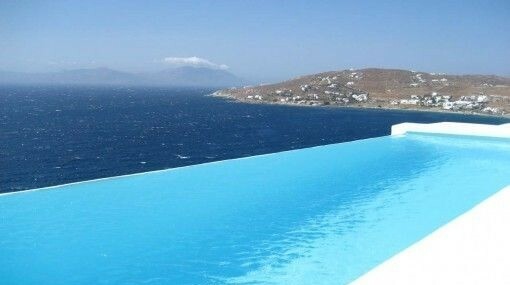 Smaller pool that looks like an extension of the bay view. I like the fire pots along the outside edge. 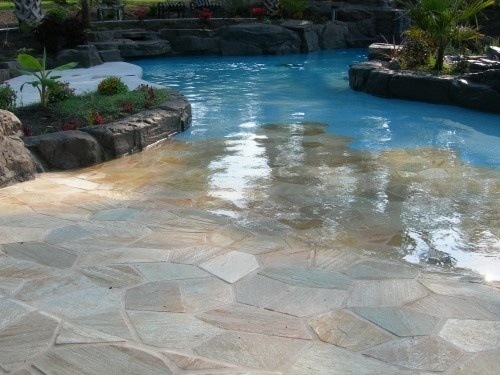 I cannot decide when I put in a pool whether to have it very close to the house of back aways. I like the idea of a beach entry, especially if you have little ones. Negative? 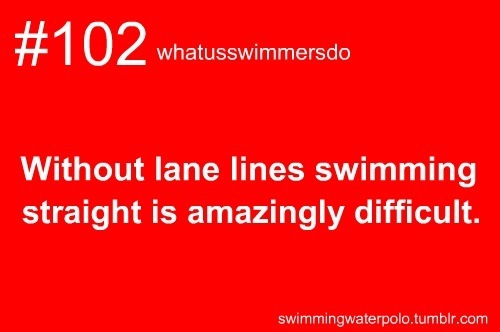 It takes a lot of space and harder to swim laps. This one has it all, pool, spa and fireplace. 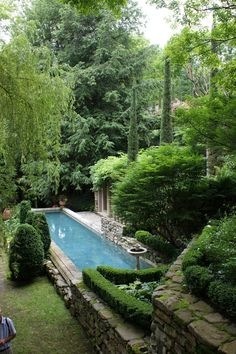 This pool is set among mostly evergreens, but where I am now, I would have to clean it of leaves a bit more I am afraid. 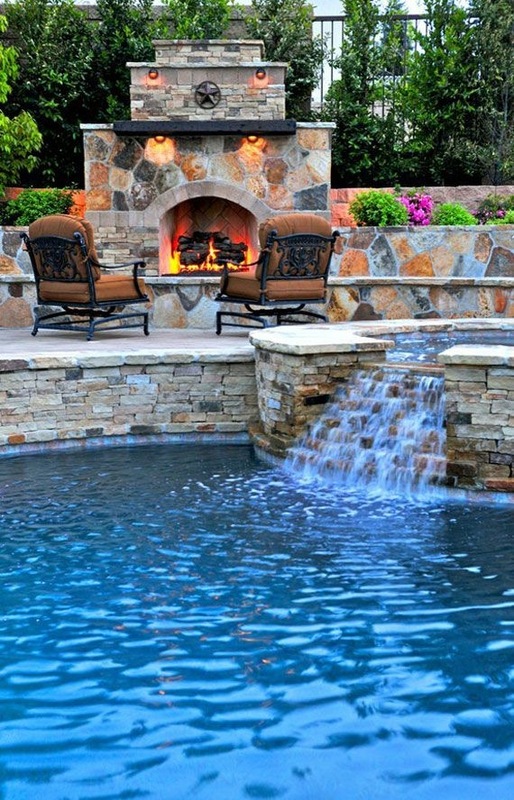 Incorporating a small waterfall near a gather area near the pool is really nice. A fire and the sound of cascading water would easily lull you to sleep. 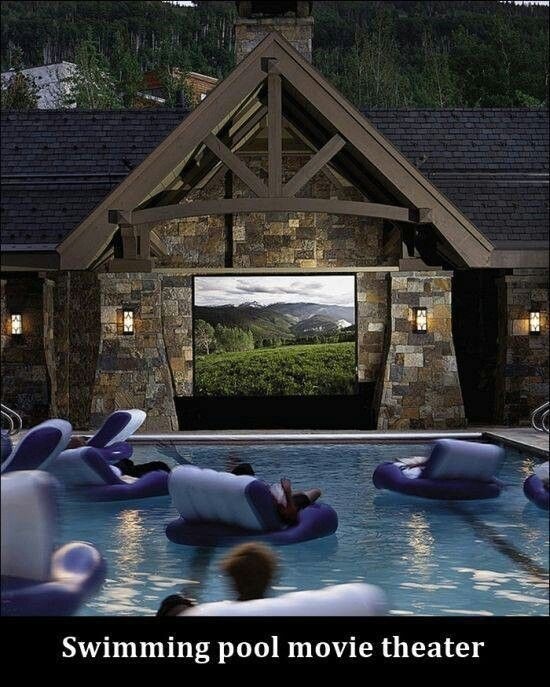 And the ultimate summer entertainment area perhaps? 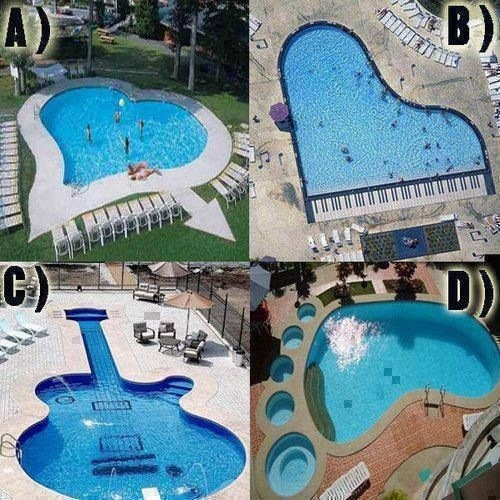 My, even swimming pool design has been changed by the new technology. 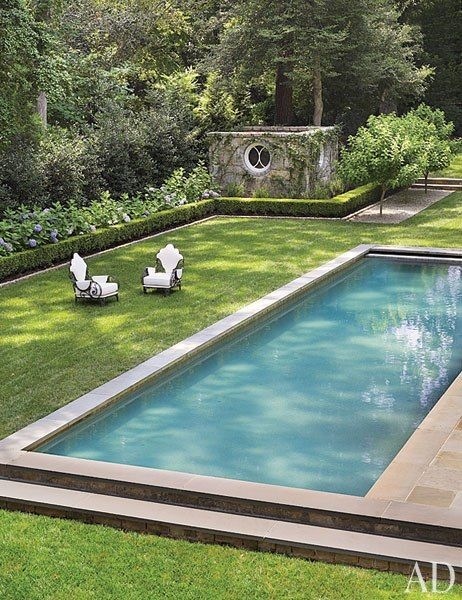 And a modern design with minimal pool surround except for soft grass underfoot. I must have missed this one last year; so glad you reran it, Charisse. 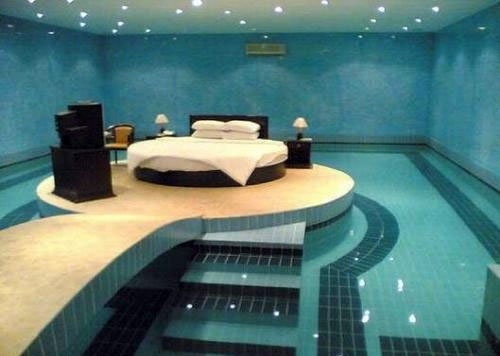 In answer to your question as to why they would have a pool surrounding their bed….perhaps they have to ‘go’ in the middle of the night and can just use the pool as their urinal?! Singapore, WOW!! Talk about a view! 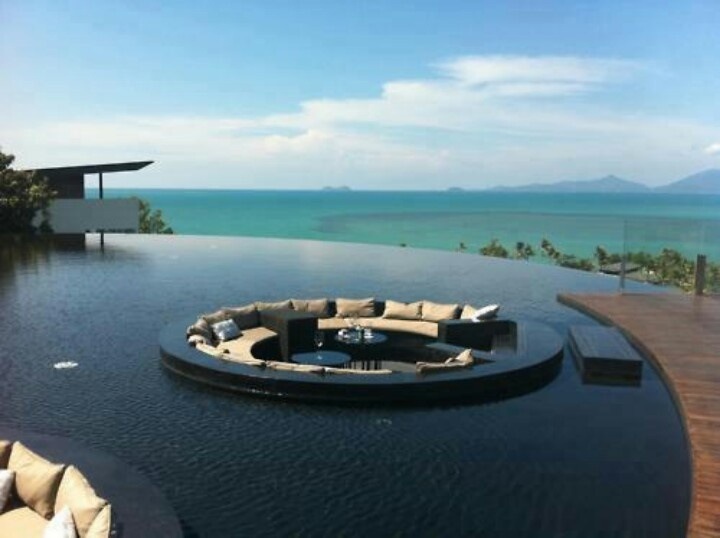 I have always wondered what it would be like to have a private pool. These are magnificent. Stone, fire and water- a great combination! 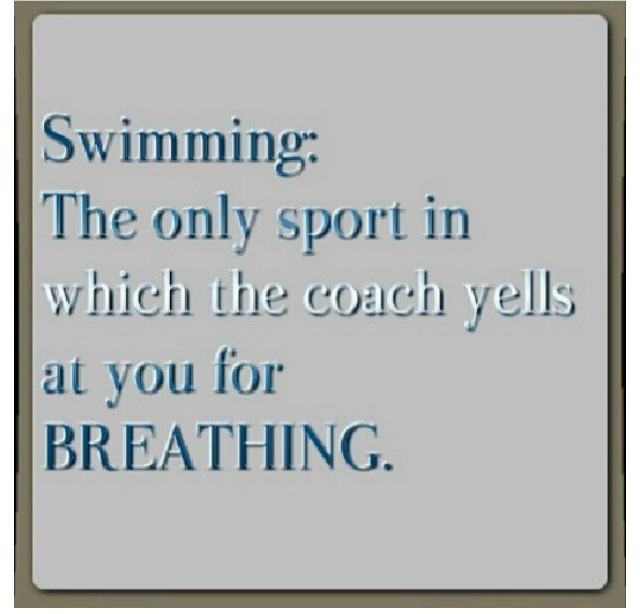 I think of how healthy I would be if I could swim laps everyday. 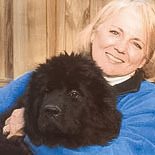 Beautiful photos, Charisse. Thank you. Isn’t that some kind of pool! 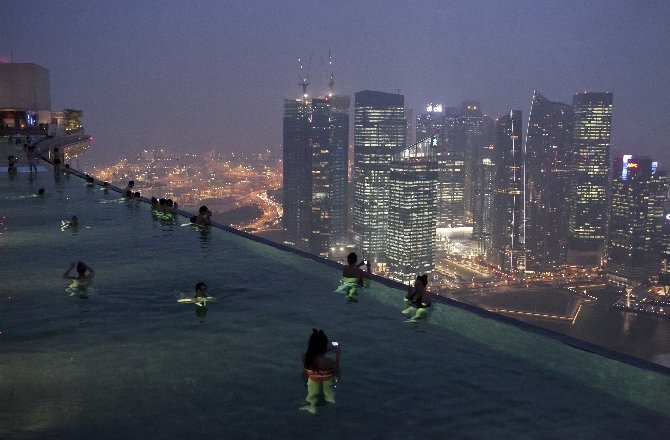 The engineering that goes into making these pools awakens awe in me.Simply amazing.